Check out my interview with Chef Summer Auman to learn how to be an absolute pro in the kitchen! You'll get chef tips to improve your cooking in no time. As a dietitian I'll admit I'm not the expert on essential oils. However, I hear all the time about how helpful they are for so many people, so I was curious to learn more. I reached out to Brooke Sullivan-Brown to learn more about this topic, specifically how essential oils improve gut health. Today I interview Dr. Emily Mayo, owner of Mayo Chiropractic to learn more about her work with hiatal hernia adjustments. Check out my interview below with Jeanne Cummings, a local yoga expert and leader. She specializes in the 8 limbs of yoga, which is a pathway to connecting to the Self to obtain union and peace. You'll learn all about the dynamic connection between yoga and digestive health. This week I had the opportunity to interview Dr. Darrell Kilcup, Chiropractor and Certified Functional Medicine Practitioner. In this interview, I ask Dr. Kilcup all about his favorite test to get to the root cause of his patients' gut problems: poop testing...also known as stool testing. We dive deep into how he uses this test to help his patients and focus his interventions. Waist and Hip Measurements: What’s your risk? I put together a quick video to explain how to accurately measure your waist and hip circumferences. All you need is a tape measure and for some, doing this measurement with a partner may be helpful. In this video I'll show you WHERE to measure your waist and hip and then how to use these numbers to find out your health risk. Just because [insert your favorite excuse], doesn't mean you can't stay fit. For some, it's lack of time. For others, it's lack of energy. For most, it's lack of motivation. Fitness in 10 includes just 10 exercises that can be done in 10 minutes without any real equipment, gym membership, or fancy bells and whistles. 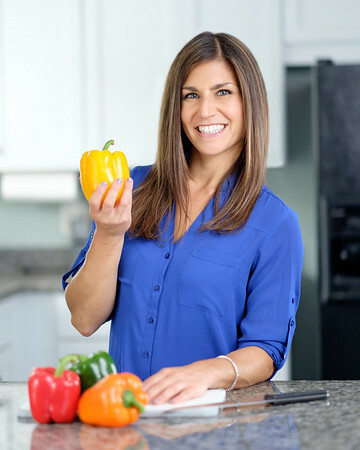 Maryland Public Television's (MPT) Direct Connection with host Jeff Salkin asked me on their show to discuss some healthy eating tips. 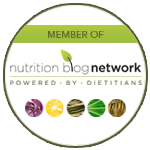 Did you know every March is National Nutrition Month (NNM)!? Each year has a nutrition-related theme to help bring about public awareness of eating right. Watch my quick video to learn some of my favorite stress management techniques to help improve your digestive capacity...without spending a dime! There is a lot of confusion surrounding types and amount of salt to consume! In this post, I'll tell you the ins & outs of each type of salt. Q&A: What to eat for quick and healthy lunch on the run? Pick up a few of my tips on making healthy lunch choices when you only have a quick minute to leave the office and grab a bite to eat. What are the best oils/fat to use with cooking? Find out in this 3 part video series. Join me in the grocery store aisles as I review all of the options of creamers you can use in your coffee. Q&A: "How much protein do I really need?" Find out the quick calculation you can use to estimate your daily protein needs. This is my go to lunch over the winter months when I want to eat something warm, satisfying, and delicious. It is packed with flavor, but won't make you feel too heavy by the time you're finished a bowl.